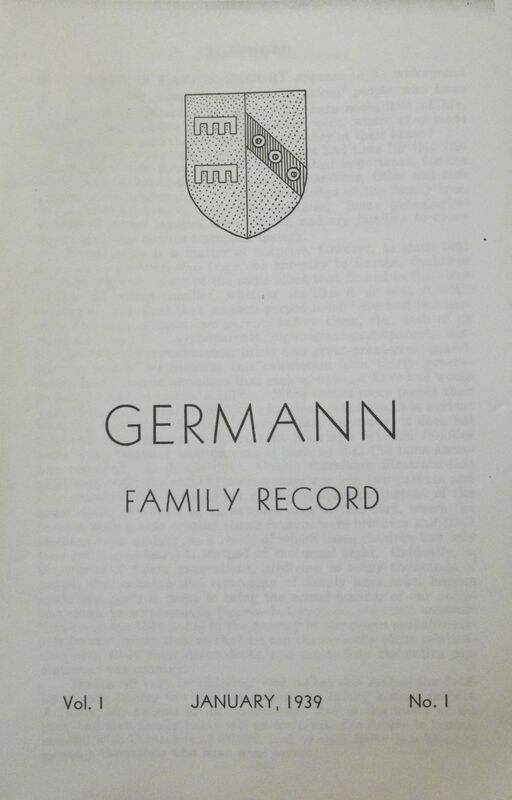 Last week I shared some information from the booklet, Germann Family Record, Vol. 1, No. 1, published in January 1939. I have copies of the first two issues but I do not know how many others were published. 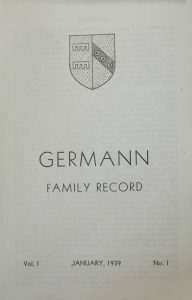 Their purpose was to provide Germann family history, information, and notifications of vital family events. This first publication includes the minutes from the 12th Annual Germann Reunion, held in 1937, as well as a commentary about the 1938 Germann Reunion. The twelfth annual reunion of the Germann family was held Sunday, August 15, 1937, at Franke Park in Fort Wayne, Indiana. A religious service was held in the forenoon with Prof. E.E. Foelber of Concordia College as the speaker. Miss Helen Limbert sang a solo, “The Lord’s Prayer.” Rev. Karl Hofmann, of Dillsboro, Indiana, gave the invocation and also read the Reunion Prayer, which was written by the late Rev. P.F. Germann and which always brings back fond memories of him and the love and esteem he held for his relatives. Part of the afternoon was spent in listening to a very interesting program consisting mainly of solos by Miss Limbert and Rev. Richard Trojan, and a comedy sketch by the Muntzinger sisters. During the business meeting a suggestion was made to change the date of the Reunion to the second Sunday in July because of the difficulty encountered in getting possession of a Fort Wayne park in August, and also because the two first Sundays in August conflict with the dates of other reunions in which members of the Germann family are interested. It also was suggested that the Reunion should be held near Van Wert in 1938, but this was left for the committee to decide. One of the “conflicting” reunions could very well have been the Schumm reunion, which is held on the first Sunday in August, every-other year. What a big day it was for the Germann family—August 7, 1938. It was then that its members gathered at Van Wert for the thirteenth annual reunion. The day was hot, which may have been one reason why the crowd was not as large as it was in 1927, when Van Wert was host for the second reunion. Or it may be that those who were here then did not have a good time, and so decided to stay away this time. Regardless, the assembly voted to have its next reunion in the vicinity of Van Wert again. For most of those who attended, the reunion meant extra work on Saturday to prepare for dinner on Sunday, but for the committee and few others there was work for days in advance to get ready for the expected guests. The New York cousins, who came for the first time, seemed to like their relatives “out west,” because they were very enthusiastic about coming back for another reunion. One of their number, Rev. Gary E. Germann, delivered a splendid sermon at the service in the morning. He came as a 1938 graduate of Lutheran Theological Seminary in St. Louis. The occasion served also as a reunion between him, his parents, Gerhard and Edna Germann of Whitesboro, New York, and his uncle and aunt, Albert and Gertrude Germann, of Utica, New York. Gary (short for Gerhard) is a grandson of the late Rev. C.A. Germann of Utica, New York, who delivered the sermon at the earlier Van Wert reunion in 1927. Gary is stationed at Cape Girardeau, Missouri, where he is organizing a congregation. The entire art hall in the Van Wert County Fairground was thrown open to the family, the center having been transformed into an auditorium where services were held in the morning, and the program in the afternoon. Long tables had been arranged in the wings for the mid-day feast. The day was hot, but there wasn’t enough hot coffee to go around and Minnie Siegel and Ollie Germann worked hard to supply everybody. When there was no more hot coffee they clamored for ice water. Ruby Germann, who was officer in charge for the day in the absence of the president, Prof. E.J. Germann, who was ill, kindly obliged. Will Hofmann, who had charge of the cold drinks, passed out the ice, and everyone was happy again. Everybody was occupied with “just talk” after dinner until time for the program. The younger members of the group supplied the entertainment ad special vocal numbers were given by Rev. Richard H. Trojan of Fort Wayne, Indiana, a guest who presents regular programs on radio station WOWO. A highlight of the day was the registration booth where all who applied were effectively “tagged.” Printed cards were used for this purpose and names and addresses of individuals were neatly typed in the blanks. Throughout the entire day the tags proved to be immensely popular with everyone, both old and young. Perhaps the busiest person at the reunion was little Miss Ruth Ann Germann of Hinsdale, Illinois. 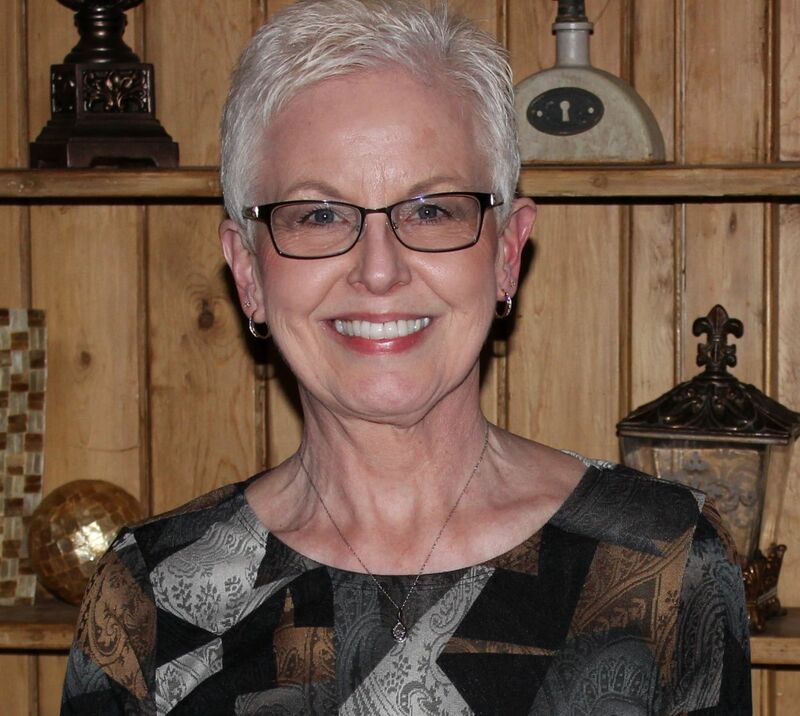 Ruth Ann had never attended a reunion and soon after arriving in Van Wert with her parents, Paul O. and Ruth Germann, and her brother Paul Jr, she began to plan how she was going to meet all her relatives. She decided a good way was to get their autographs and addresses and get them she did! Reunion day found her with a notebook, bought especially for the occasion, busily interviewing everyone in sight to discover if, how, and why she should be related to so many people she had never seen before. Her ides, though simply a personal matter in her case, might be an incentive for a register for all to sign at the reunion another year. I wish they would have mentioned how many people attended their reunions. The Germanns, like the Schumms, began their reunions with a worship service and after had a very structured reunion, with officers, minutes, and entertainment. Of course, when I think of family reunions, I think of one of the most important parts—the pot luck dinner with all that delicious home cooking! Thank you for sharing this! I have a copy of the second issue, which was among my father’s belongings, and I’ve always wondered about the first. I have a feeling that there were no more issues after the second, given the palpable frustration of the editor that the relatives were not submitting information. Thank you for this information about the Germann Record. I wondered if there were only 2 issues. Trying to keep family information current and get updates can be frustrating and you are probably correct about why they discontinued writing it. Thanks for writing! How may I obtain copies of these issues, will gladly pay for copies and mailing. Listed under births on another page was listed my grandfather, Henry Carl Germann – also recognized names I’ve heard before, like Great Aunt Bertha. My grandfather married Agnes Marie Gilchrist, and they had 4 sons, Marvin F. Germann, Jack and Jim (twins), and Orville Carl Germann aka Fritz, who was my father. I have some old info, that my brother collected from a Germann family reunion a while back. It would be nice to add these booklets to the info we have. Thank you for writing and explaining your Germann connection. I will e-mail you about the other information.